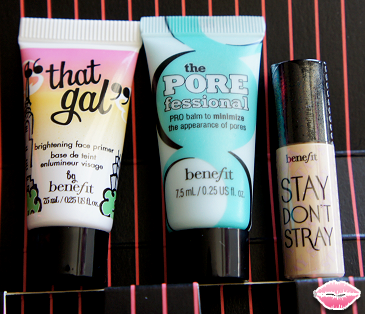 This set of mini primers will set your makeup and have you looking perpetually pretty no matter what the situation. "That Gal" face primer smooths on a brighter complexion, The POREfessional PRO balm minimizes the appearance of pores and fine lines, and dual-action Stay Don't Stray eye primer locks on concealer and eye shadow for all-day wear. 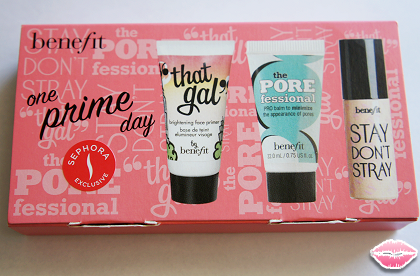 - - "That Gal" Brightening Face Primer - The first thing that I noticed about this little primer was the sweet smell. It was a been reminiscent of a strawberry sorbet smell. I applied a small amount to my face and I noticed an instant brightness to my face. It also gave it a soft glow. I was automatically impressed with it and loved how my face was looking that I almost did not put any foundation on afterwards. It did not feel heavy or thick on my face. 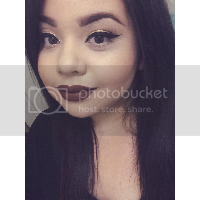 When I did put my foundation on it went on smooth and evenly. The packaging is also super cute! I will definitely be purchasing a full size of this face primer. - - The POREfessional Pro Balm - So this did minimize my pores which was awesome but I did notice that it left my face looking a bit oily. It began to wear off throughout the day. It did leave my face feeling smooth but for the steep price I do not see myself purchasing a full size. - - Stay Don't Stray Eye Primer - I tried using this product as an eyeshadow primer but it did not work the wonders that my beloved Urban Decay Primer Potion did. I noticed a bit of creasing after a few hours of having it on. On a much lighter note, I absolutely love it for an under the eye concealer. 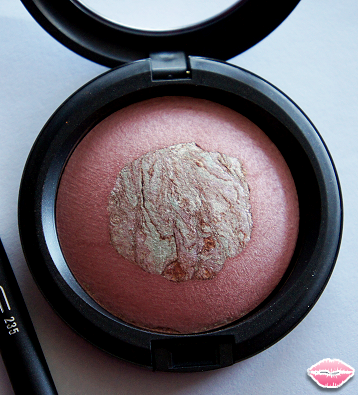 It is the perfect shade for me and helps brightens my dark circles underneath my eyes. I would definitely use it as a concealer but not as an eyeshadow primer. 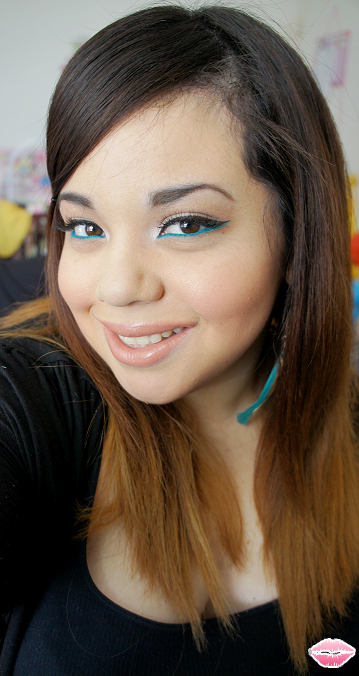 For my face of the day today I was inspired by a tutorial that one of my favorite youtube guru created. 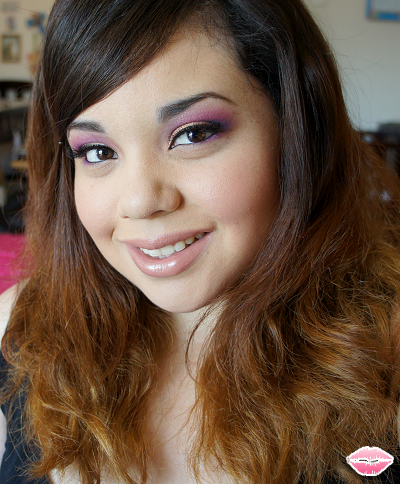 The Plum Goddess Tutorial by Jazziebabycakes used all of my favorite colors. I absolutely loved the look that Jasmine did so I decided to give it a try. I was really happy with the end result and to be honest it looked a lot more vibrant in person. This past weekend I was super excited to do makeup for one of my closest friend little cousin. 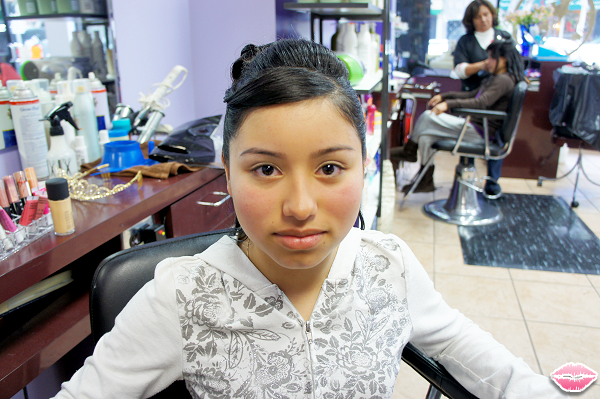 Jennifer was turning 15 and was celebrating with all of her family and friends for her Quinceañera. For those of you who aren't familiar a Quinceañera is a celebration of a girl's fifteen birthday. It marks the transition of childhood to young womanhood. I wanted to make sure Jennifer felt like a Princess! I did not want to go to heavy on the makeup because she is still a young lady. Her theme was Beauty and The Beast and she had this gorgeous dress that was reminiscent of Belle. 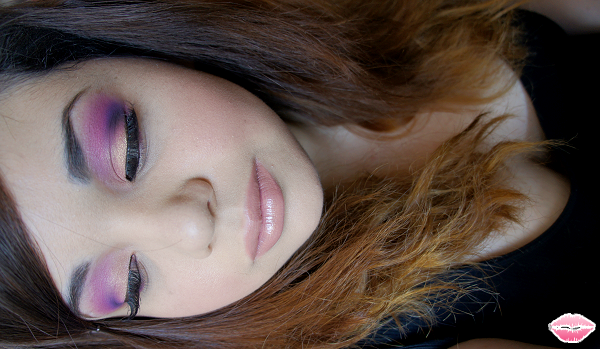 I did a neutral look but added a hint of gold sparkle to stand out. She was super excited after I finished and we were both extremely happy with the end result! I love this months Birchbox! 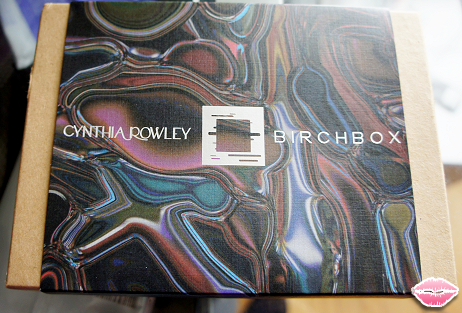 First of all it is in this awesome Cynthia Rowley special edition box and when I opened it up I was super stoked about the awesome products inside!! 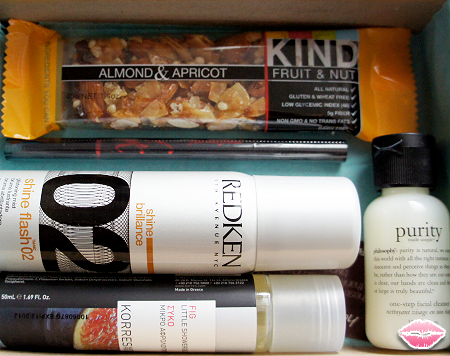 What did you all get in your July Birchbox? 1. Korres Showergel - A deliciously foamy body wash with aloe to keep skin soft long after you've toweled off and an exotically lush fragrance . - - My Review - This shower gel left my skin feeling super soft! I did not like the smell when I first smelled it directly from the tube but after applying it on my skin it had a fresh scent to it. I did not like it enough to replace my current shower gel so I gave it to my mom who loves the smell! 2. Philosophy Purity Made Simple One-Step Facial Cleanser -This perennial award-winner is pH-balanced to gently clear away dirt, oil, and makeup without drying out skin. - - My Review - I have been using this facial cleanser for a while now and just ran out so I was super delighted to see this awesome mini included in this months birchbox! I wear foundation mostly everyday. I absolutely love this cleanser. It makes my face feel so fresh and clean after I use it! It does not leave my skin dry or flaky at all. It also doesn't have a strong scent either which is great! I feel as though I have been noticing less breakouts since using this product. I don't think my old cleanser was helping me remove all of my makeup before I went to bed. I would recommend this product to all of my friends. Major love! 3. Redken Shine Flash - A must for all Cynthia's runway shows, this weightless spray gives hair a brilliant sheen. - - My Review - I was not too fond of the smell. Reminded me of copper. It did leave my hair quite shiny but I would not use this product on a daily basis. 4. ybf Beauty Automatic eye brow pencil in universal taupe - A two-in-one brow-tamer: the comb brushes hairs into place, while the creamy pencil fills in sparse areas. 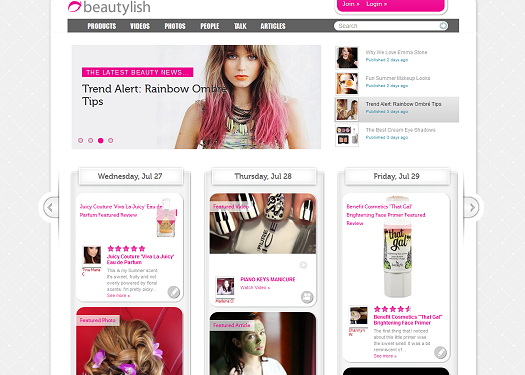 - - My Review - Who doesn't love two-in-one? 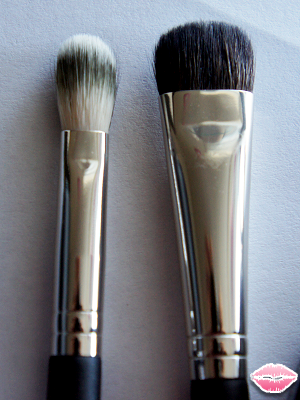 The brow brush worked perfectly on my brows and the pencil was pretty close in comparison to my current brow pencil. It may be a bit dark for some people. I use MAC Cosmetics Eyebrow pencil in Spiked and this one is a bit darker. 5. Kind Almond & Apricot - Snack right with this wholesome bar - no preservatives or hard-to-pronounce ingredients. - - My Review - Super yummy. 190 Calories and it is a pretty big bar. Perfect if you are just looking for a quick snack. It filled me up! Oh Blue Peep, how I have neglected you! 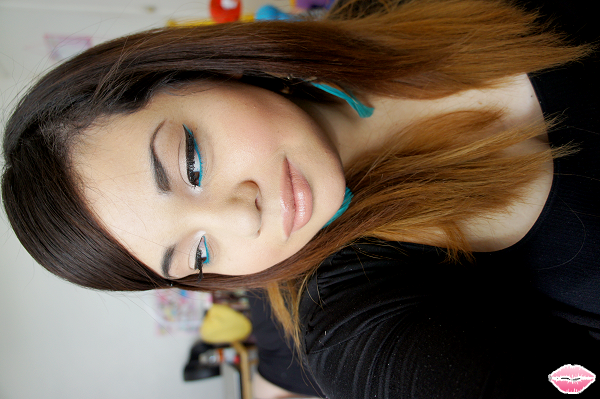 I use to wear this fluidline all of the time. I was definitely inspired by my earrings to whip out this amazing color. I wanted the fluidline to stand out so I kept everything else quite neutral. I got a lot of sweet comments about this look at work and can not wait to wear it again! 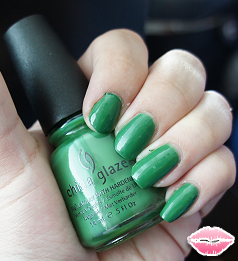 I have always wanted a true green and Starboard from China Glaze was perfect! It did clash with some of my outfits but it was a nice change of color. I ended up putting OPI's Black Shatter on top and it turned out quite nice! Here is my face of the day. 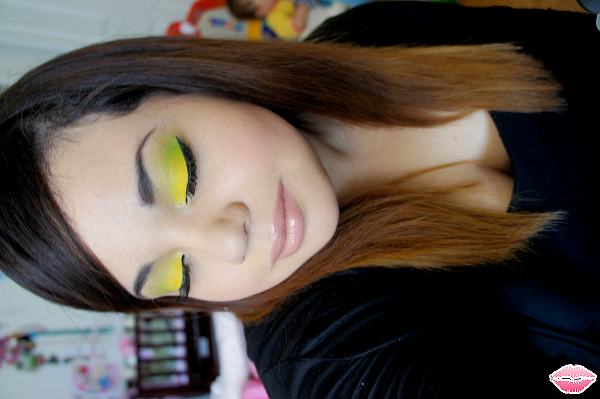 I had some time before work to actually attempt to add some color and I was inspired by my yummy lemonade. I love how vivid the colors came out and it lasted all day. I will always recommend Urban Decays Primer Potion. Major lovage. I can't wait to start using everything! I need to start posting more looks on here. I have been feeling kind of down because my whole "road to a healthy lifestyle" hasn't been going so well. I am 100% to blame of course but it is hard with a FT job and being a FT Mom. :( I need to start reading some mommy blogs and see what else I can try. 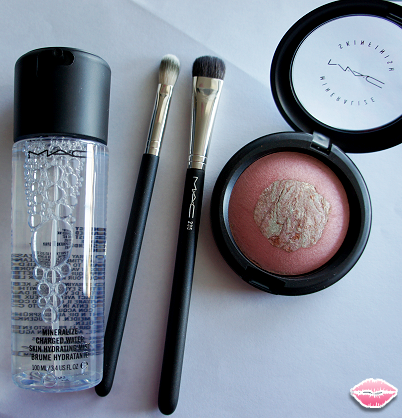 On a much lighter note, I was beyond excited to find out that my boyfriend bought me special goodies from MAC's Blogger Obsession collection! 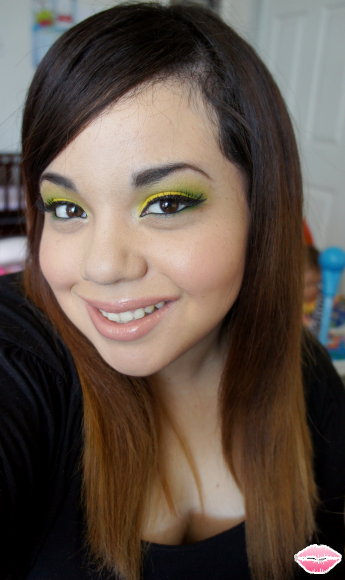 I was drooling over Christine's Jealousy Wakes eyeshadow and Karen's Evolution Revolution lipglass! I was at work when it launched and he surprised me with the order confirmation # when I got home. Gotta love him!! Look at the gorgeous goodies. I can not wait to see what I can pair Jealousy Wakes with and I know I can wear Evolution Revolution on top of anything on a daily basis! Goodness gracious! 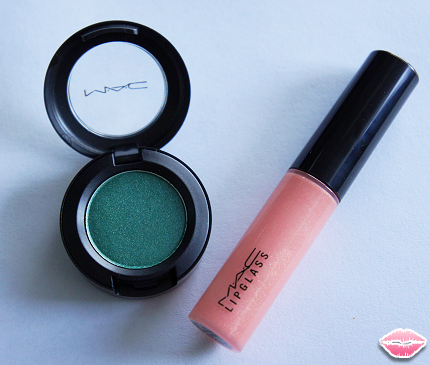 I wonder what took me so long to finally try these amazing lip tars out! When I went to IMATS I kept getting complimented on my lips and even late into the evening I was still getting stopped on how vivid the color was! I was wearing the lip tar in Anime and I can't even start to tell you how much I love this color! 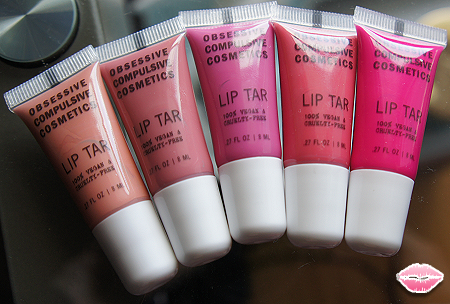 A month or two ago I found out that Obessive Compulsive Cosmetics were having a 20% off sale and I knew that was the perfect time to try these much hyped about lip tars. I absolutely love them! I just dab a tiny bit on my lip brush and it fills my entire lips. For IMATS I put on Anime around 7:00 a.m and did not have to reapply it for the entire super hot in Pasadena & Convention center day! I am definitely going to order more. I highly recommend these. A stunning new innovation in lip color, OCC Lip Tar combines the longevity of a lipstick, with the ease of application of a gloss. Goes on slick and moist, and dries down to a satin finish. Ultra-saturated in color, Lip Tar contains an unprecedented amount of pigment - a little goes a very, very long way! An intense yet featherweight layer of color that stands up to the scrutiny of Hi-Def Video and Digital Photography, without ever looking (or feeling!) heavy. Meant to be mixed, Lip Tar comes in concise array of colors for a limitless selection of shades made by you! Like all of our products, OCC Lip Tar is 100% Vegan and Cruelty-Free, and is also free of parabens and other harsh preservatives. A simple, elegant formula that contains Hemp Oil, Peppermint Oil and Vitamin E, OCC Lip Tar feels as good on the lips as it looks!